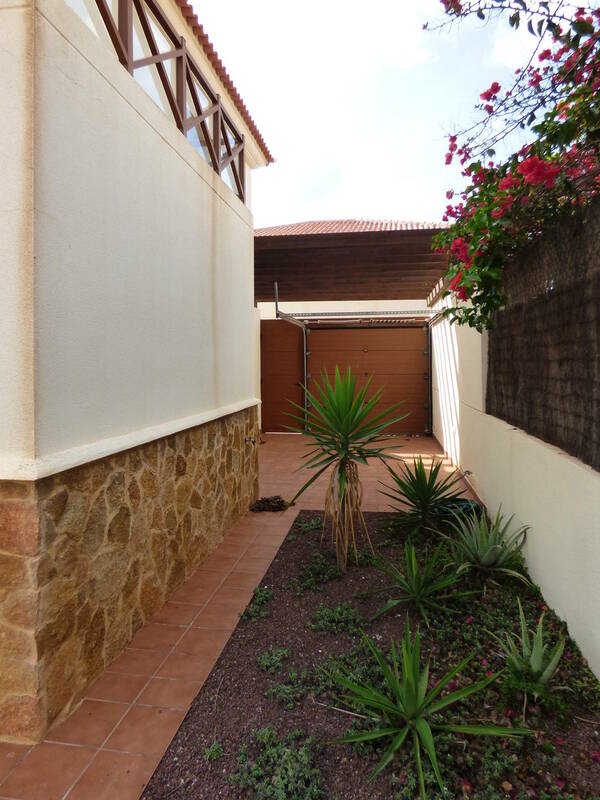 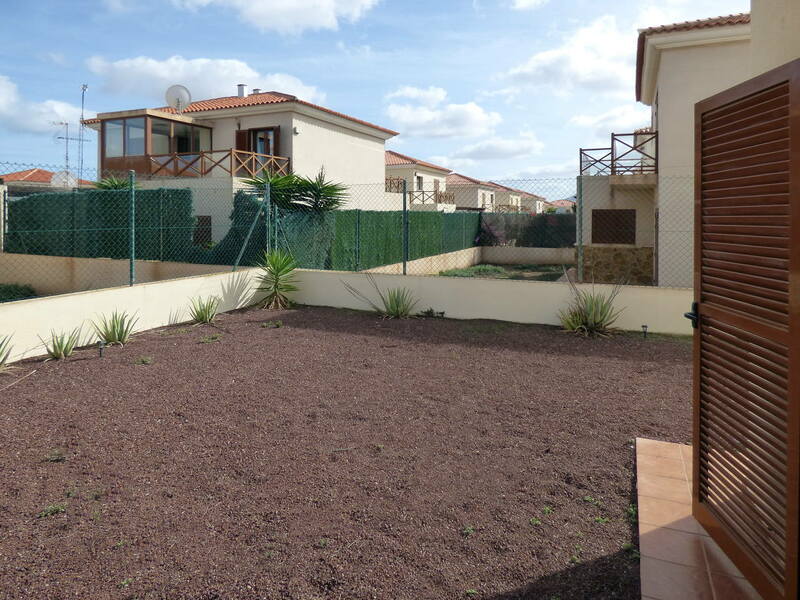 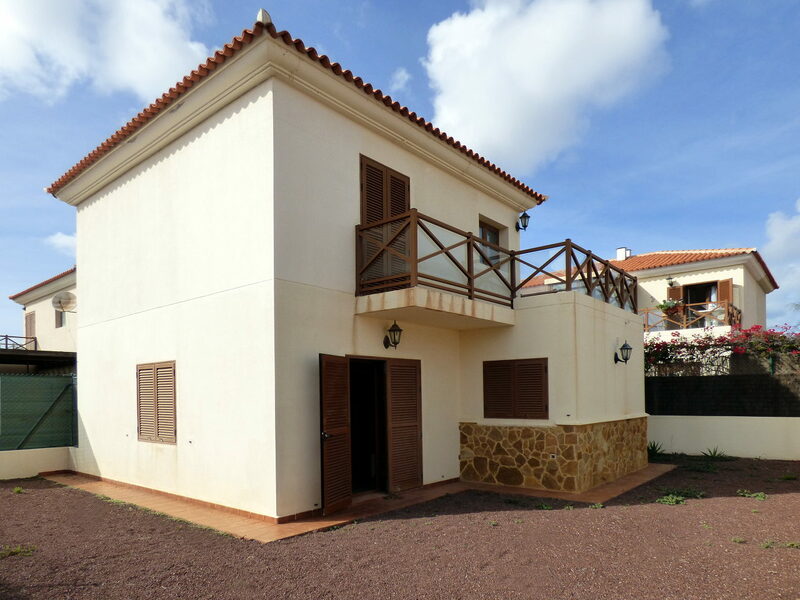 The property is located in the Pueblo Canario urbanization, in the village known as La Capellanía/Tamaragua, about 5 kilometres south of Corralejo. 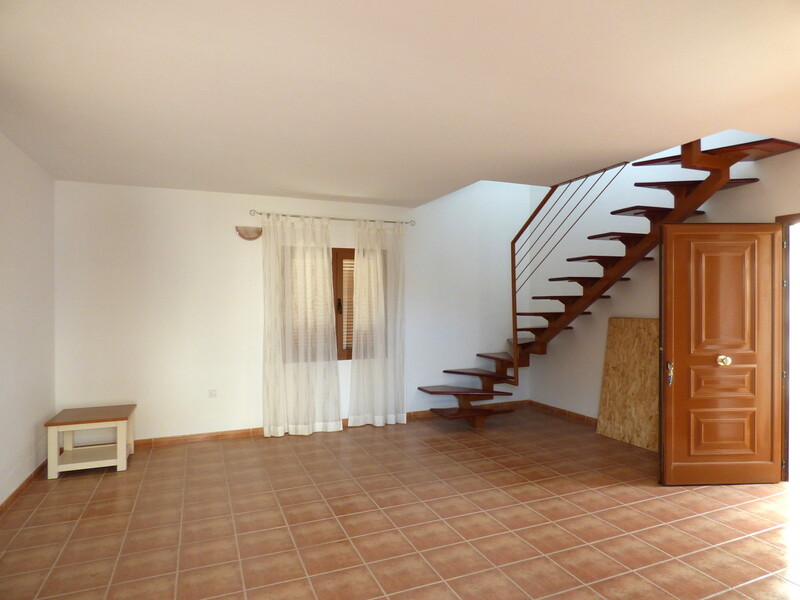 It is a two-storey house (duplex) on a plot of almost 180 square meters. 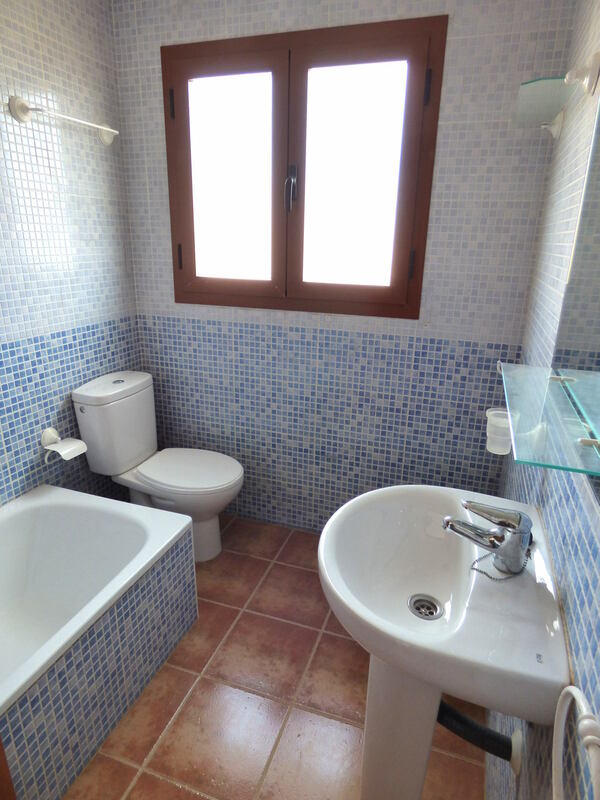 on the upper floor, there are two bedrooms, one of which, the main one, with a 7 square meter terrace, and one bathroom with a tub. 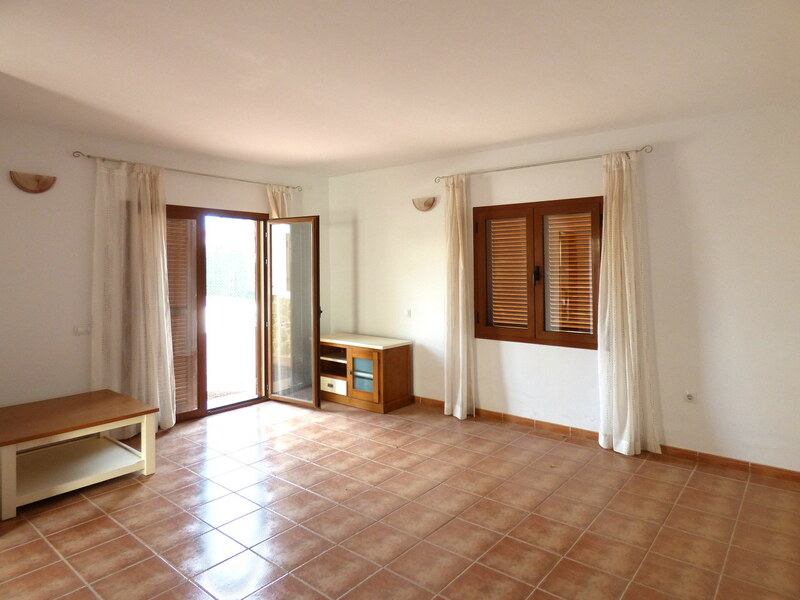 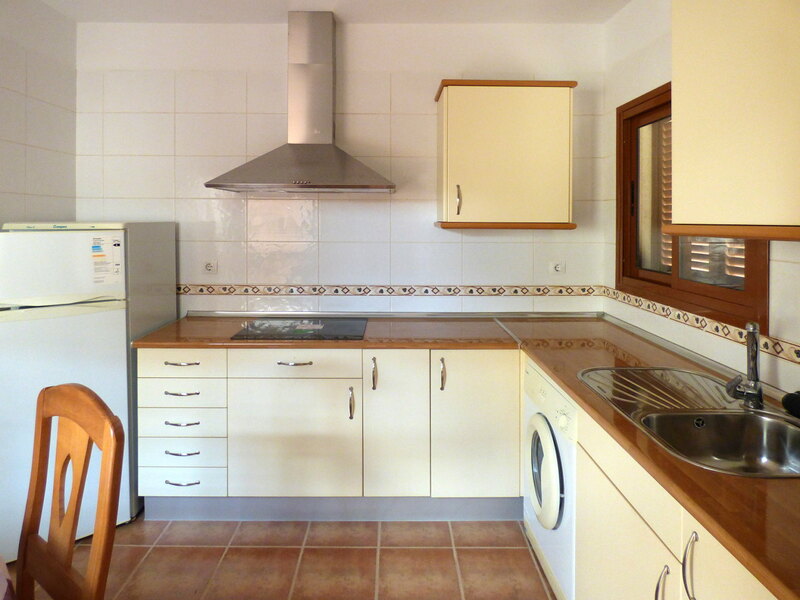 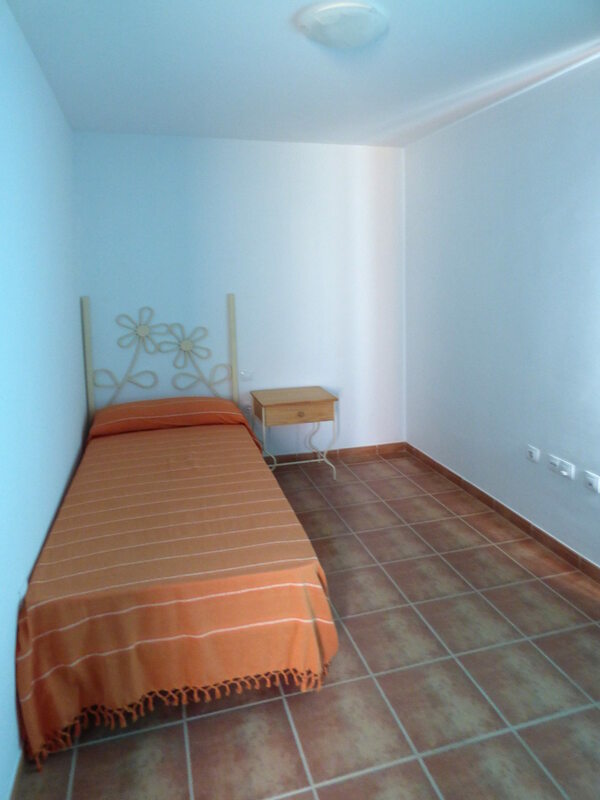 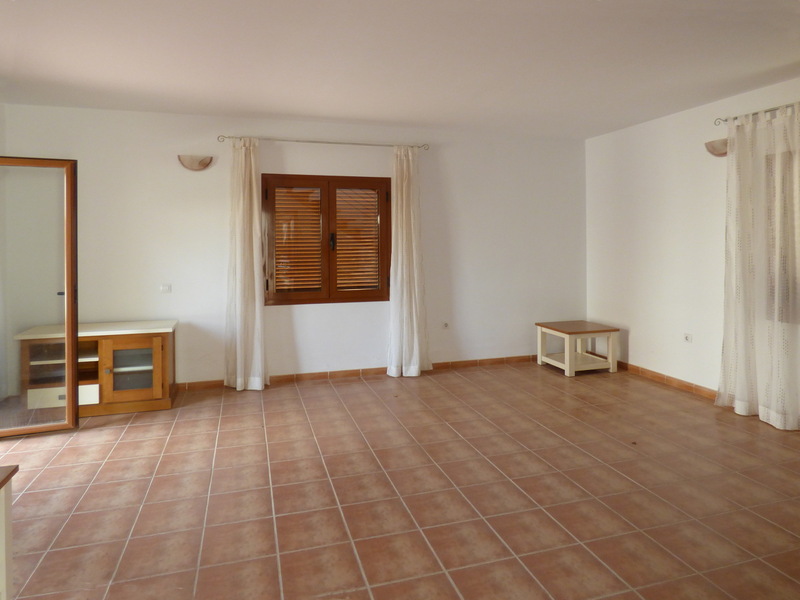 The house has a 78 square meters built area and is for sale at the price of 159,000 Euros. 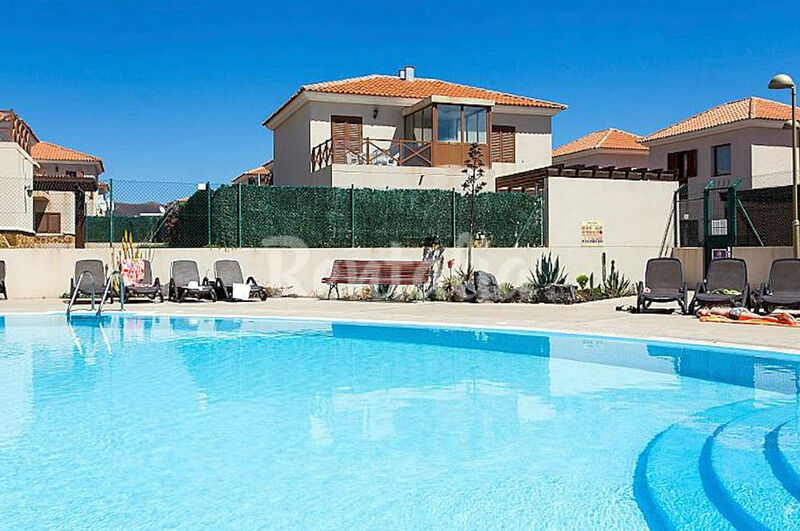 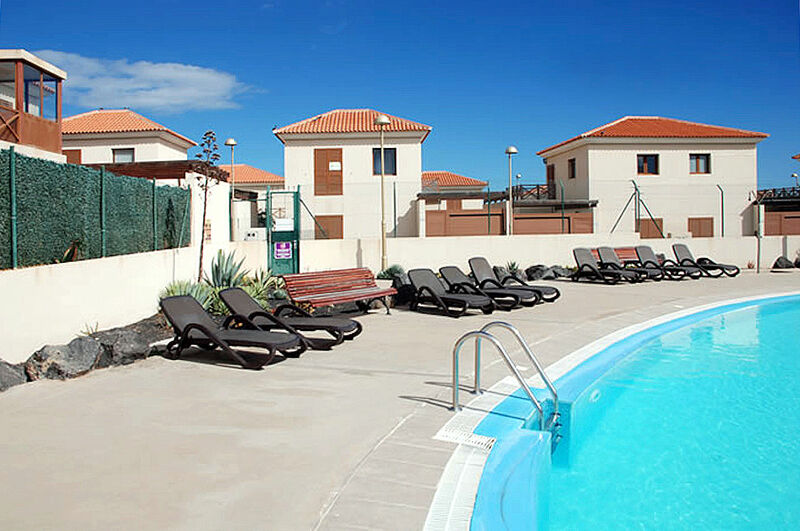 The Pueblo Canario urbanisation has a large community pool surrounded by a relax/solarium area and evergreen gardens. 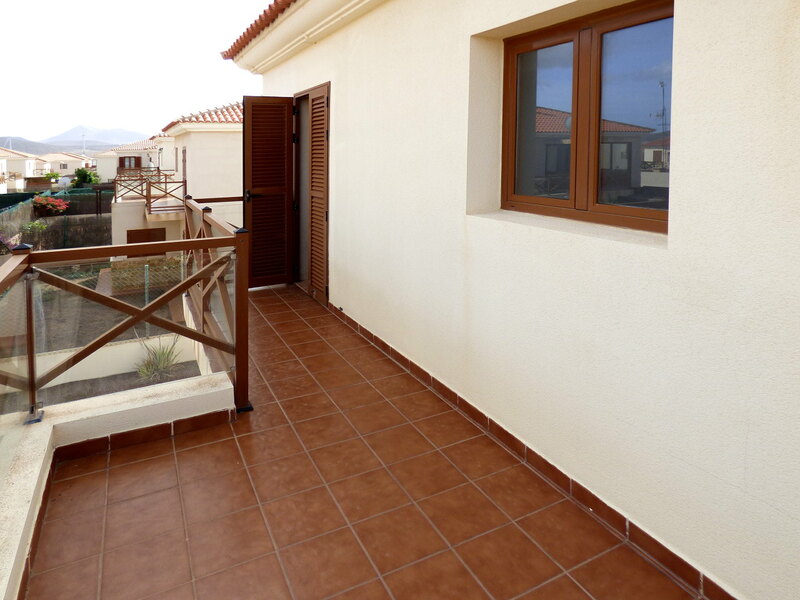 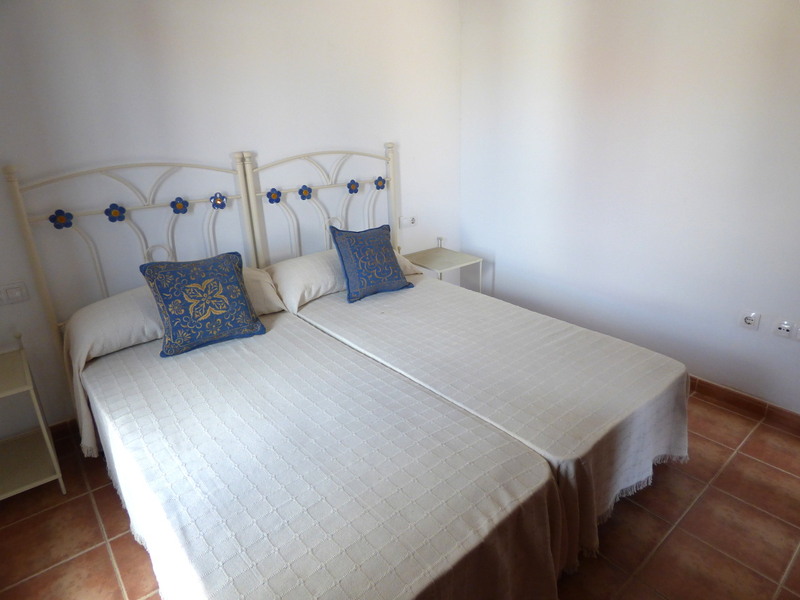 It is located only 5 kilometres from Corralejo, in a very convenient position to visit the best beaches in the north of Fuerteventura and the nearby villages of Lajares, El Cotillo, Villaverde and La Oliva. 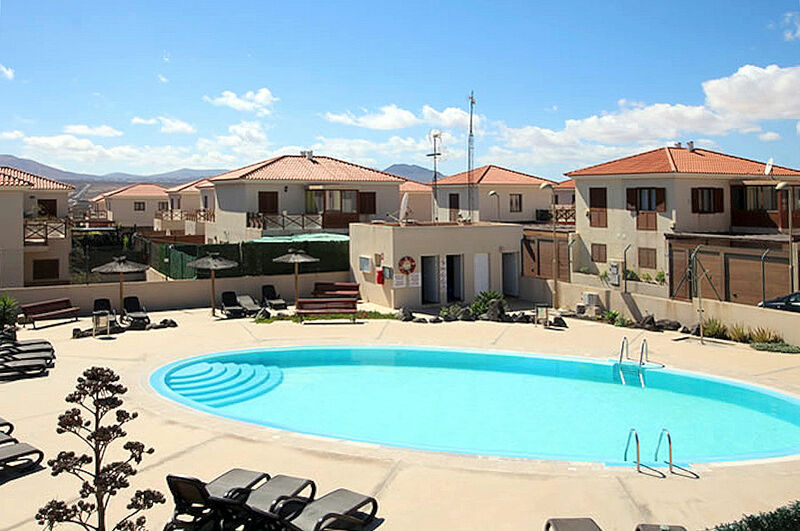 It is located in La Capellanía, which has many services such as a Superdino supermarket, bus and taxi stop, various bars and restaurants, gardens and playgrounds for children. 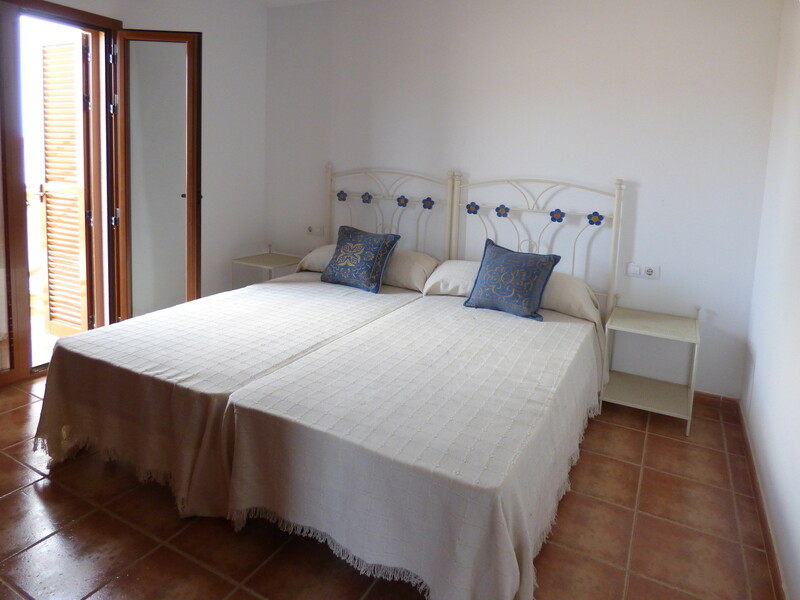 The area has excellent tourist attractions, such as the Corralejo Natural Park, the Malpaís volcanoes, the Lobos island and the Betancuria Natural Park. 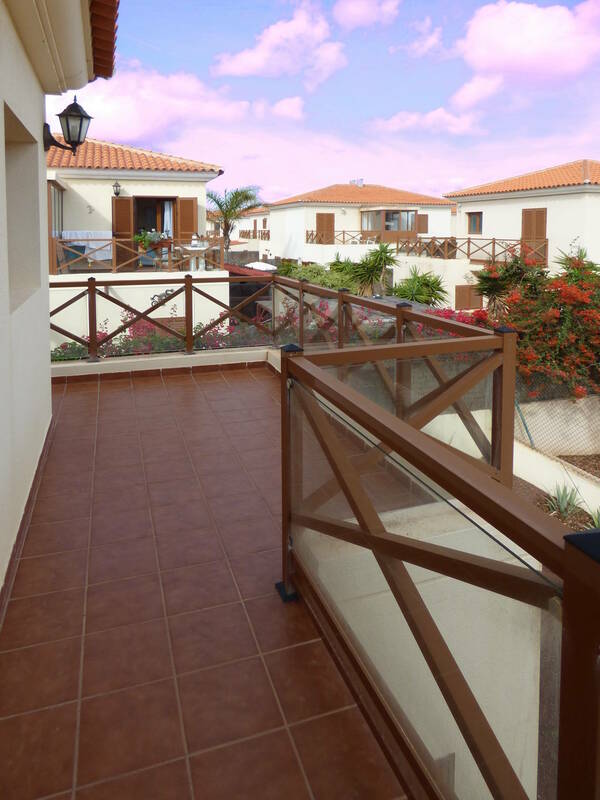 Road connections are fast and good; the white sandy beaches of Corralejo can be reached in 10 minutes by car and the capital Puerto del Rosario in less than half an hour.